It’s that time of year again. Exam results. The hopes and dreams of school children throughout the land are about to be realised. Or not. 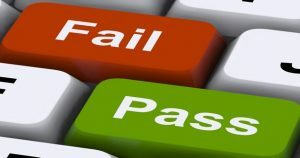 Every August, GCSE and A level students find out whether they’ve done enough to enjoy the sweet smell of success or will have to swallow the bitter taste of failure. Either way, it’s a time of momentous change for teens on the cusp of adult life. They’re going through a period of time when they will very likely go through more changes than at any other time in their lives. Completing their education, entering the workplace, becoming financially independent and forming adult relationships are just a few of the challenges they are facing at this time. And exam results are pivotal to their future success. Perhaps more so than at any time in history as the workplace becomes ever more competitive and demanding of skills and expertise. 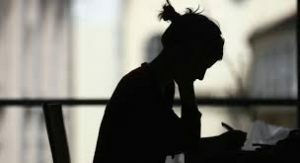 Student anxiety is at an all-time high and exam nerves, which affect performance on the day and therefore exam results, are just part of the mix. Many of the students I see are completely confounded by the choices available to them, which often seem daunting and overwhelming if they don’t have a clear idea of what they want to do next. And that uncertainty simply adds to their fears for the future. Also, it’s hard to work hard on studies that may seem irrelevant or meaningless if you don’t have a clear goal in mind. And most teenagers don’t know themselves well enough to know what they really want to do with their lives. A recent Cambridge University study reveals that practising mindfulness can help us all to make the big decisions in life with confidence gained through self-awareness. Mindfulness is a component of the work I do with students of all ages seeking help with improving performance or overcoming anxiety. It provides clarity and makes it easier to commit to appropriate and relevant academic studies or vocational training and put the time and effort in that’s necessary to get the best results possible. “To work out which choice is right for you, you first need to decide who you want to be, and to do that, you need to know who you are – which requires careful self-observation,” says Julieta Galante from Cambridge University Department of Psychiatry. She goes on to advise students: “If you get to know yourself better, you’ll find it easier to see which things you value and enjoy most – and what you care most about. You’ll be able to come up with new plans that are aligned with these things, integrating your past, present and future – to create your own meaningful story. Sometimes, I see twenty-somethings who have followed the ‘right’ career path and spent years studying or training for a career they find they loathe. This trap was set for them at the time when their exam results came out and they had to make a choice of degree course or job. Even though few of us are guaranteed a job for life, it’s hard to change course when you’ve invested years in obtaining the skills to do a job you don’t enjoy. Though there’s not statistical research to back up what I observe in my practice, I reckon there are at least as many people who don’t like their jobs as hated school. There must be multiple social and cultural reasons why this happens. My goal is to help the young adults, whatever their exam results, who come and see me post exam to make good decisions for themselves and work toward fulfilling their potential with the resources available to them in the circumstances of their lives at this crucial time. Often they will return for guidance and support at other transitional stages in their lives – post university or seeking a career change or promotion, for example. I help them accept the things they can’t change and change for the better the things they can. There is a world of opportunity for those who are brave enough to challenge themselves to be the best they can be.